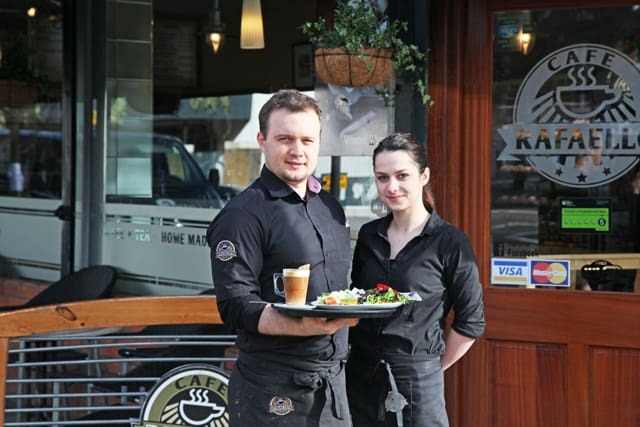 Shop owner Przemek Czech and his assistant Anna Garncarz have worked together at Rafaello Cafe since Przemek took the reins in 2008, having worked his way up from kitchen sweep to owner after leaving his chef’s job in Poland. Now both feel at home in W6. Get a free hot drink when you spend £5 or more after 3pm. Bring in a copy of Our Patch to redeem.